Judge Helen Whitener gave the keynote address at the Pierce College Women & Justice Forum. 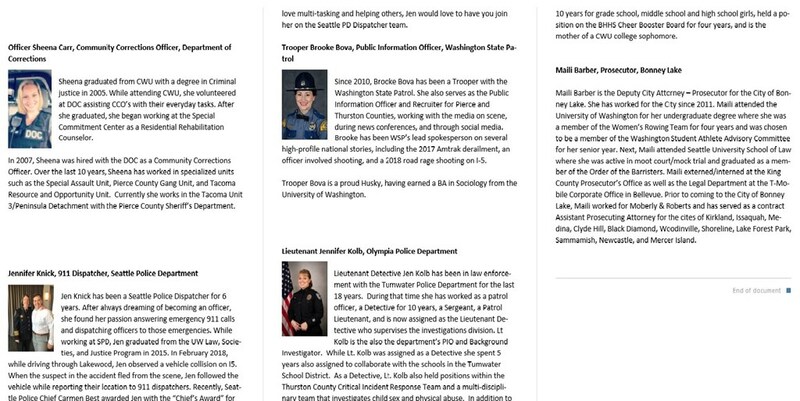 A panel of women in a variety of criminal justice careers ranging from 911 dispatcher to Superior Court Judge. 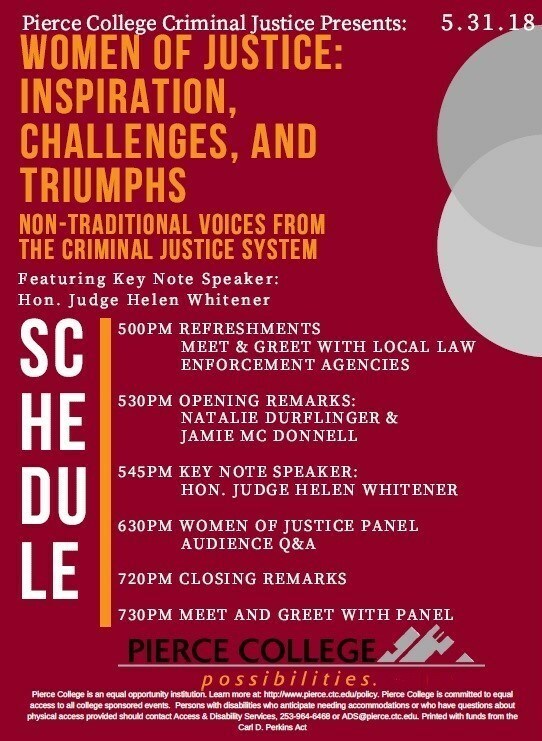 Attendees had the opportunity to learn more about the inspiration, challenges and triumphs of nontraditional voices of the criminal justice system.